About two years ago, Pixar’s Photorealistic Renderman got a new rendering mode called RIS. PRman was one of the first production renderers ever developed, and historically PRman has always been a REYES-style rasterization renderer. Over time though, PRman has gained a whole bunch of added on features. At the time of Monsters University, PRman was actually a kind of hybrid rasterizer and raytracer; the rendering system on Monsters University used raytracing to build a multiresolution radiosity cache that was then used for calculating GI contributions in the shading part of REYES rasterization. That approach worked well and produced beautiful images, but it was also really complicated and had a number of drawbacks! 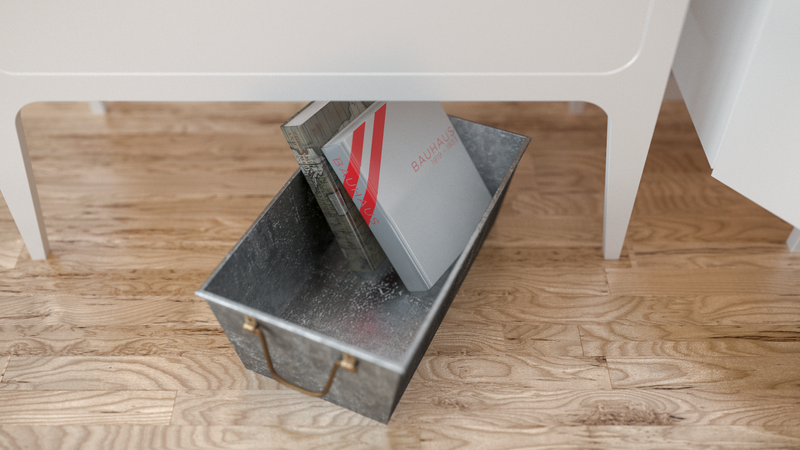 RIS replaces all of that with a brand new, pure pathtracing system. In fact, while RIS is marketed as a new mode in PRman, RIS is actually a completely new renderer written almost completely from scratch; it just happens to be able to read Renderman RIB files as input. 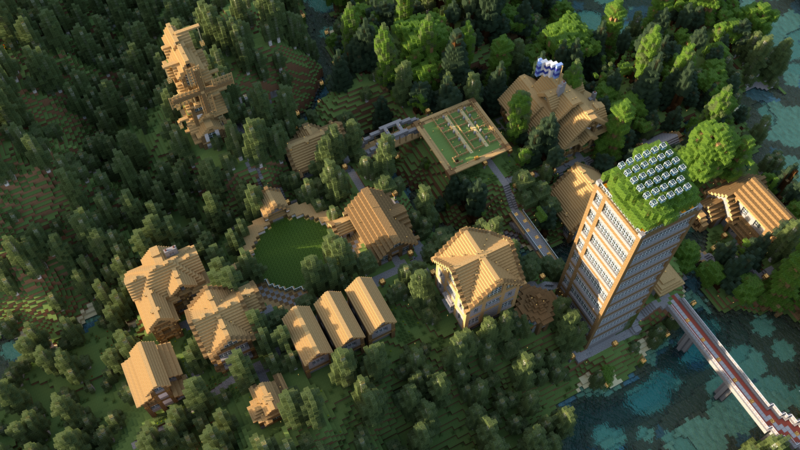 Recently, I wanted to try rendering a Minecraft world from a Minecraft server that I play on. There are a lot of great Minecraft rendering tools available these days (Chunky comes to mind), but I wanted much more production-like control over the look of the render, so I decided to do everything using a normal CG production workflow instead of a prebuilt dedicated Minecraft rendering tool. I thought that I would use the project as a chance to give RIS a spin. At Cornell’s Program of Computer Graphics, Pixar was kind enough to provide us with access to the Renderman 19 beta program, which included the first version of RIS. I tinkered with the PRman 19 beta quite a lot at Cornell, and being an early beta, RIS had some bugs and incomplete bits back then. Since then though, the Renderman team has followed up PRman 19 with versions 20 and 21, which introduced a number of new features and speed/stability improvements to RIS. Since joining the Hyperion team, I’ve had the chance to meet and talk to various (really smart!) folks on the Renderman team since they are a sister team to us, but I haven’t actually had time to try the new versions of RIS. This project was a fun way to try the newest version of RIS on my own! …and here is a zoomed in view of the part of the map that contains our town. The vast majority of the town was built by two players over the course of about 4 months. 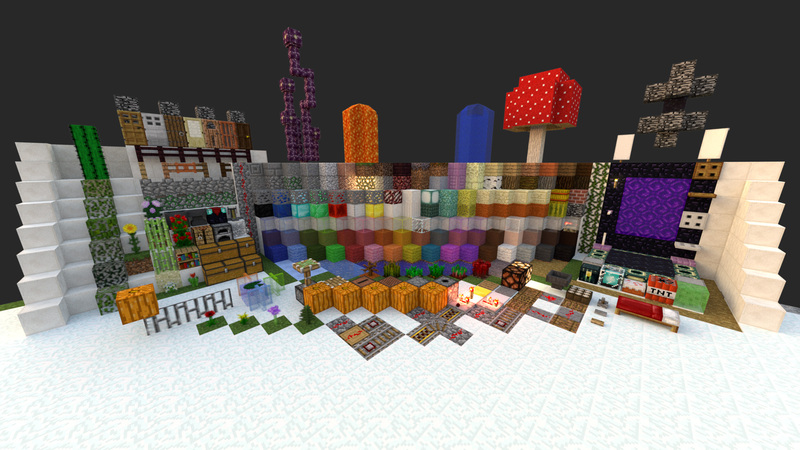 Our town is about 250 blocks long; the entire server map is a 6000 block by 6000 block square. The area outlined above is significantly larger than the area I wound up rendering… initially I was thinking of a very different camera angle from the ground with the mountains in the background before I picked an aerial view much later. The size of the exported obj mesh was about 1.5 GB. Mineways exports the world as a single mesh, optimized to remove all completely occluded internal faces (so the final mesh is hollow instead of containing useless faces for all of the internal blocks). Each visible block face is uv’d into a corresponding square on a single texture file. This approach produces an efficient mesh, but I realized early on that I would need water in a separate mesh containing completely enclosed volumes for each body of water (Mineways only provides geometry for the top surface of water). Glass had to be handled similarly; both water and glass need special handling for the same reasons that I mentioned immediately after the first diagram in my attenuated transmission blog post. Mineways allows for exporting different block types as separate meshes (but still with internal faces removed), so I simply deleted the water and glass meshes after exporting. Luckily, jmc2obj allows exporting individual block types as closed meshes, so I went back to jmc2obj for just the water and glass. Since just the water and glass is a much smaller data set than the whole world, jmc2obj was able to export without a problem. 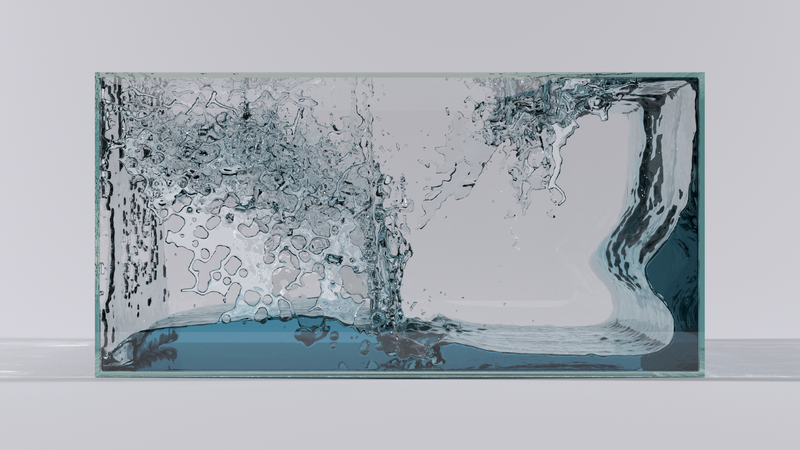 Since rendering refractive interfaces correctly requires expanding out the refractive mesh slightly at the interfaces, I wrote a custom program based on Takua Render’s obj mesh processing library to push out all of the vertices of the water and glass meshes slightly along the average of the face normals at each vertex. One detail worth going into a bit more detail about are the glowing blocks. The glowstone, lantern, and various torch blocks use a trick based on something that I have seen lighters use in production. The basic idea is to decouple the direct and indirect visibility for the light. I got this decoupling to work in RIS by making all of the glowing blocks into pairs of textured PxrMeshLights. Using PxrMeshLights is necessary in order to allow for efficient light sampling; however, the actual exposures the lights are at make the textures blow out in camera. In order to make the textures discernible in camera, a second PxrMeshLights is needed for each glowing object; one of the lights is at the correct exposure but is marked visible to only indirect rays and invisible to direct camera rays, and the other light is at a much lower exposure but is also only visible to direct camera rays. This trick is a totally non-physical cheaty-hack, but it allows for a believable visual appearance if the exposures are chosen carefully. In the final renders a few pictures down, I also used a more specialized shader for leaves and vines and tall grass and whatnot. The leaf block shader uses a PxrLMPlastic material instead of PxrDisney; this is because the leaf block shader has a slight amount of diffuse transmission (translucency) and also has more specialized diffuse/specular roughness maps. Note the total lack of real caustics in the water… I wound up just using the basic pathtracer built into RIS instead of Pixar’s VCM implementation. 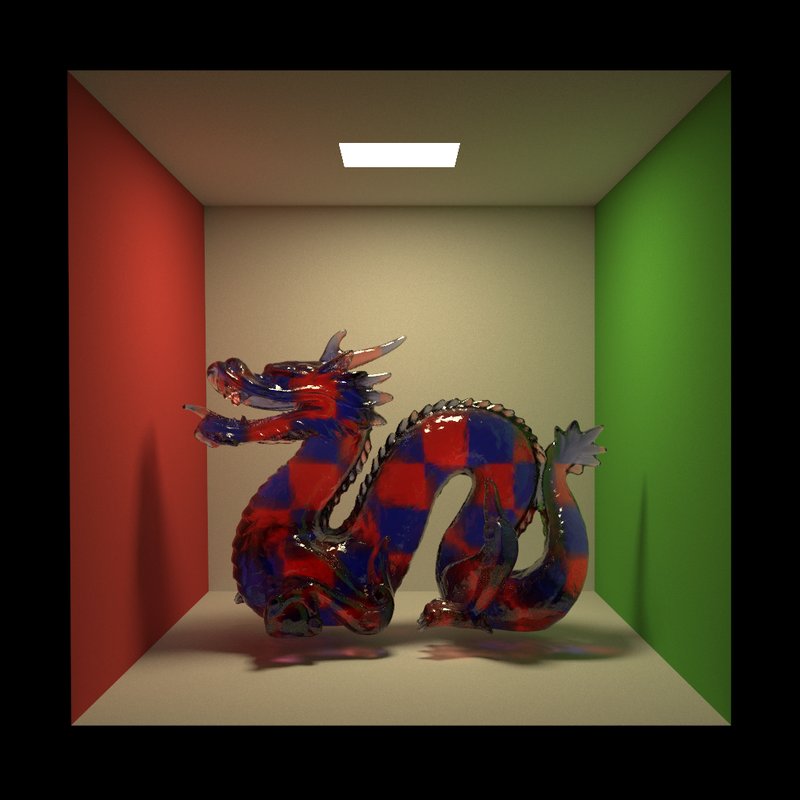 Pixar’s VCM implementation is one of the first commercial VCM implementations out there, but as of Renderman 20, it has no adaptivity in its light path distribution whatsoever. As a result, the Renderman 20 VCM integrator is not really suitable for use on huge scenes; most of the light paths end up getting wasted on areas of the scene that aren’t even close to being in-camera, which means that all of the efficiency in rendering caustics is lost. This problem is fundamental to lighttracing-based techniques (meaning that bidirectional techniques inherit the same problem), and solving it remains a relatively open problem (Takua has some basic photon targeting mechanisms for PPM/VCM that I’ll write about at some point). Apparently, this large-scene problem was a major challenge on Finding Dory and is one of the main reasons why Pixar didn’t use VCM heavily on Dory; Dory relied mostly on projected and pre-baked caustics. I should also note that Renderman 21 does away with the PxrLM and PxrDisney materials entirely and instead introduces the shader set that Christophe Hery and Ryusuke Villemin wrote for Finding Dory. I haven’t tried the Renderman 21 shading system yet, but I would be very curious to compare against our Disney Brdf. This first attempt looked okay, but didn’t quite hit what I was going for. I wanted something with much more dramatic shadow beams, and I also felt that the fog didn’t really look settled into the terrain. 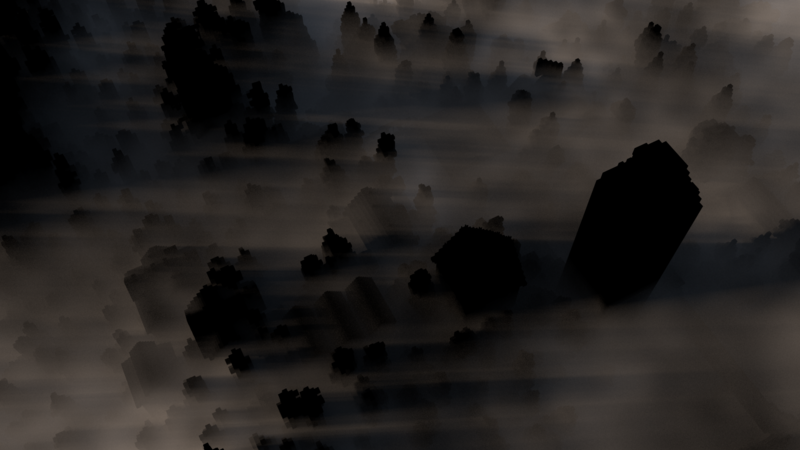 Eventually I realized that I needed to make the fog sparser and that the fog should start thinning out after rising just a bit off of the ground. After adjusting the fog and adding in a spotlight with a bit of a cooler temperature than the sun, I got the image below. 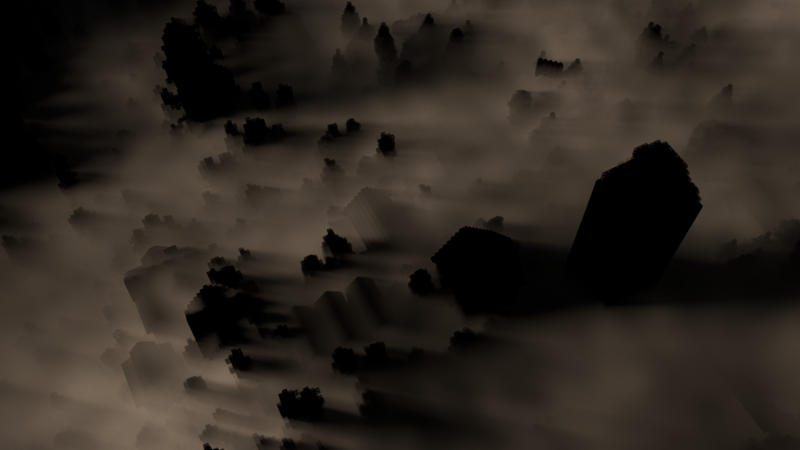 I’m pretty happy with how the fog looks like it is settling in the river valley and is pouring out of the forested hill in the upper left of the image, even though none of the fog is actually simulated! I learned a lot about using RIS from this project! By my estimation, RIS is orders of magnitude easier to use than old REYES Renderman; the overall experience was fairly similar to my previous experiences with Vray and Arnold. Both Takua and Hyperion make some similar choices and some very different choices in comparison, but then again, every renderer has large similarities and large differences from every other renderer out there. 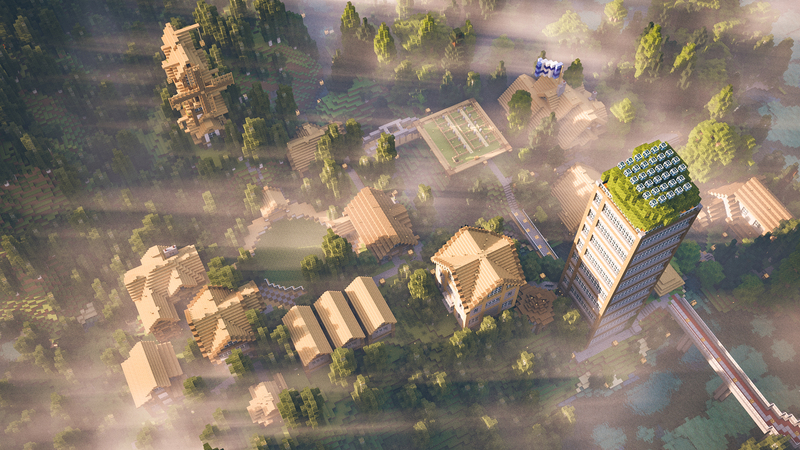 Rendering a Minecraft world was a lot of fun; I definitely am looking forward to doing more Minecraft renders using this pipeline again sometime in the future. 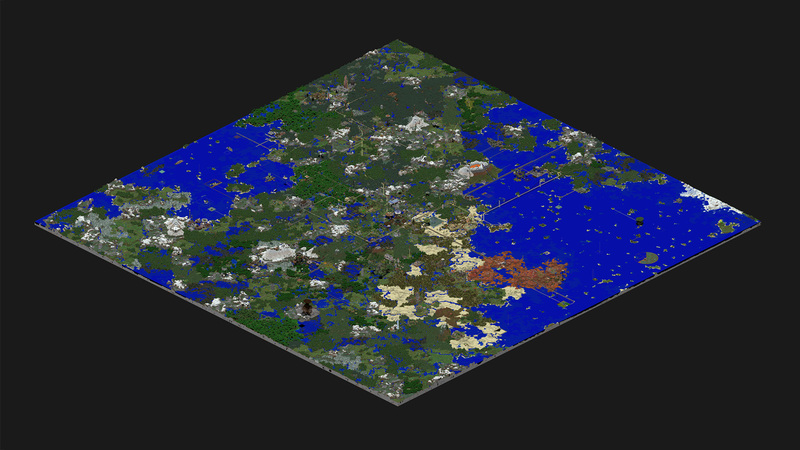 Also, here’s a shameless plug for the Nerd.nu Minecraft server that this data set is from. If you like playing Minecraft and are looking for a fast, free, friendly community to build with, you should definitely come check out the Nerd.nu PvE server, located at p.nerd.nu. 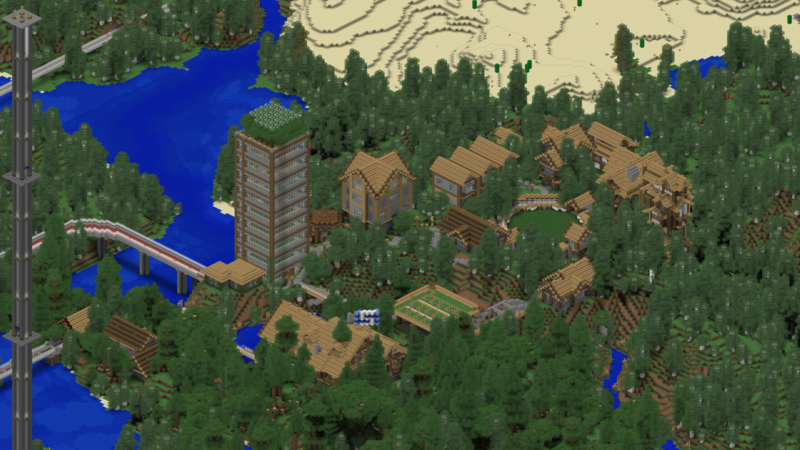 The little town in this post is not even close to the most amazing thing that people have built on that server. A final note on the (lack of) activity on my blog recently: we’ve been extremely busy at Walt Disney Animation Studios for the past year trying to release both Zootopia and Moana in the same year. Now that we’re closing in on the release of Moana, hopefully I’ll find time to post more. I have a lot of cool posts about Takua Render in various states of drafting; look for them soon! Addendum 10/02/2016: After I published this post, Eric Haines wrote to me with a few typo corrections and, more importantly, to tell me about a way to get completely enclosed meshes from Mineways using the color schemes feature. Serves me right for not reading the documentation completely before starting! The color schemes feature allows assigning a color and alpha value to each block type; the key part of this feature for my use case is that Mineways will delete blocks with a zero alpha value when exporting. Setting all blocks except for water to have an alpha of zero allows for exporting water as a complete enclosed mesh; the same trick applies for glass or really any other block type. Going forward, I’ll definitely be adopting this technique to get water meshes instead of using jmc2obj. Being able to handle all of the mesh exporting work in a single program makes for a nicer, more streamlined pipeline. 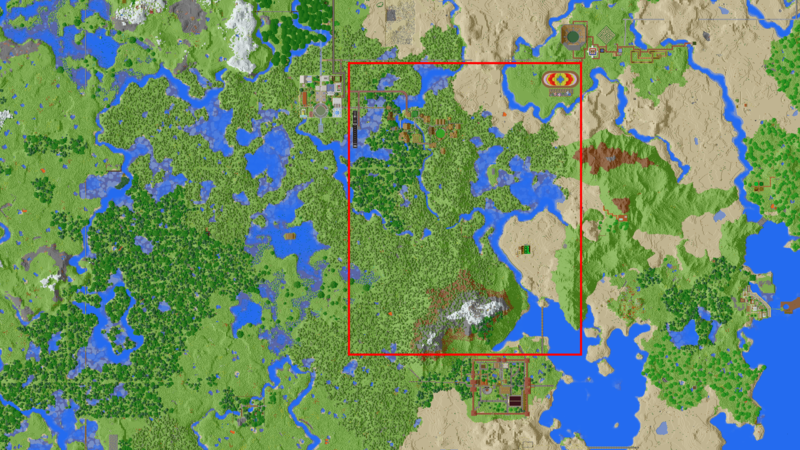 Of course both jmc2obj and Mineways are excellent pieces of software, but in my testing Mineways handles large map sections much better, and I also think that Mineways produces better water meshes compared to jmc2obj. As a result, my pipeline is now entirely centered around Mineways. Walt Disney Animation Studios’ newest film, Zootopia, will be releasing in the United States three weeks from today. 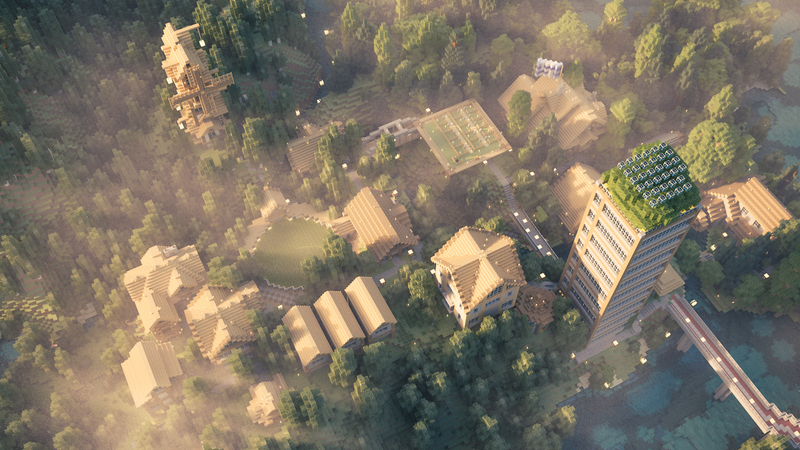 I’ve been working at Walt Disney Animation Studios on the the core development team for Disney’s Hyperion Renderer since July of last year, and the release of Zootopia is really special for me; Zootopia is the first feature film I’ve worked on. My actual role on Zootopia was fairly limited; so far, I’ve been spending most of my time and effort on the version of Hyperion for our next film, Moana (coming out November of this year). On Zootopia I basically only did support and bugfixes for Zootopia’s version of Hyperion (and I actually don’t even have a credit in Zootopia, since I hadn’t been at the studio for very long when the credits were compiled). Nonetheless, I’m incredibly proud of all of the work and effort that has been put into Zootopia, and I consider myself very fortunate to have been able to play even a small role in making the film! Zootopia is a striking film in every way. The story is fantastic and original and relevant, the characters are all incredibly appealing, the setting is fascinating and immensely clever, the music is wonderful. However, on this blog, we are more interested in the technical side of things; luckily, the film is just as unbelievable in its technology. Quite simply, Zootopia is a breathtakingly beautiful film. In the same way that Big Hero 6 was several orders of magnitude more complex and technically advanced than Frozen in every way, Zootopia represents yet another enormous leap over Big Hero 6 (which can be hard to believe, considering how gorgeous Big Hero 6 is). I can’t go far into detail here (I’m sure we’ll be presenting much more in-depth stuff at SIGGRAPH this year), but I think I can safely say that Zootopia is the most technically advanced animated film ever made to date. The fur and cloth (and cloth on top of fur!) systems on Zootopia are beyond anything I’ve ever seen, the sets and environments are simply ludicrous in both detail and scale, and of course the shading and lighting and rendering are jaw-dropping. Disney isn’t paying me to write this on my personal blog, and I don’t write any of this to make myself look grand either. I played only a small role, and really the amazing quality of the film is a testament to the capabilities of the hundreds of artists that actually made the final frames. I’m deeply humbled to see what amazing things great artists can do with the tools that my team makes. Okay, enough rambling. 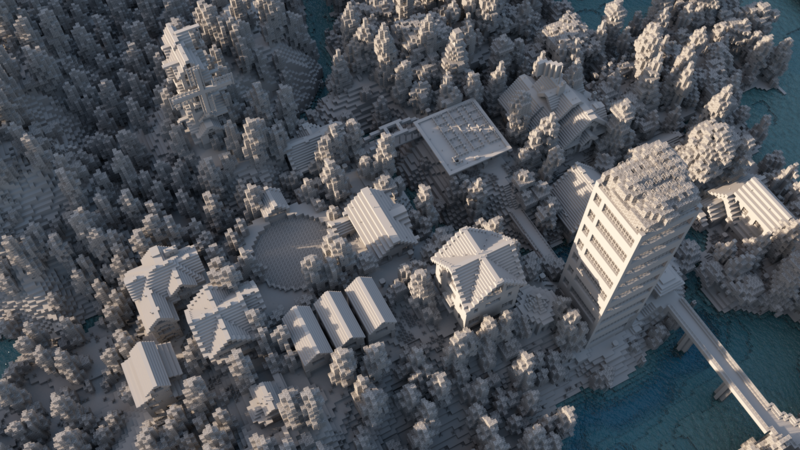 Here are some stills from the film, 100% rendered with Hyperion, of course. Go see the film; these images only scratch the surface in conveying how gorgeous the film is. A few months ago I added attenuation to Takua a0.5’s Fresnel refraction BSDF. Adding attenuation wound up being more complex than originally anticipated because handling attenuation through refractive/transmissive mediums requires volumetric information in addition to the simple surface differential geometry. In a previous post about my BSDF system, I mentioned that the BSDF system only considered surface differential geometry information; adding attenuation meant extending my BSDF system to also consider volume properties and track more information about previous ray hits. First off, what is attenuation? Within the context of rendering and light transport, attenuation is when light is progressively absorbed within a medium, which results in a decrease in light intensity as one goes further and further into a medium away from a light source. One simple example is in deep water- near the surface, most of the light that has entered the water remains unabsorbed, and so the light intensity is fairly high and the water is fairly clear. Going deeper and deeper into the water though, more and more light is absorbed and the water becomes darker and darker. Clear objects gain color when light is attenuated at different rates according to different wavelengths. Combined with scattering, attenuation is a major contributing property to the look of transmissive/refractive materials in real life. From these expressions, we can see that light is absorbed exponentially as distance into an absorbing medium increases. Returning back to building a BSDF system, supporting attenuation therefore means having to know not just the current intersection point and differential geometry, but also the distance a ray has traveled since the previous intersection point. Also, if the medium’s attenuation rate is not constant, then an attenuating BSDF not only needs to know the distance since the previous intersection point, but also has to sample along the incoming ray at some stepping increment and calculate the attenuation at each step. In other words, supporting attenuation required BSDFs to know the previous hit point in addition to the current one and also requires BSDFs to be able to ray march from the previous hit point to the current one. 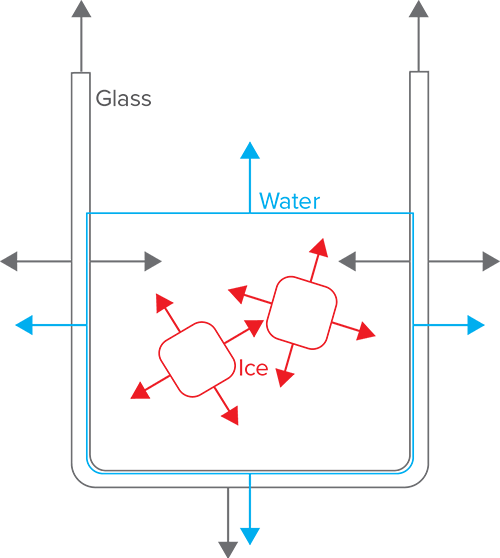 There are two things in the above diagram that make deep attenuation difficult to implement. 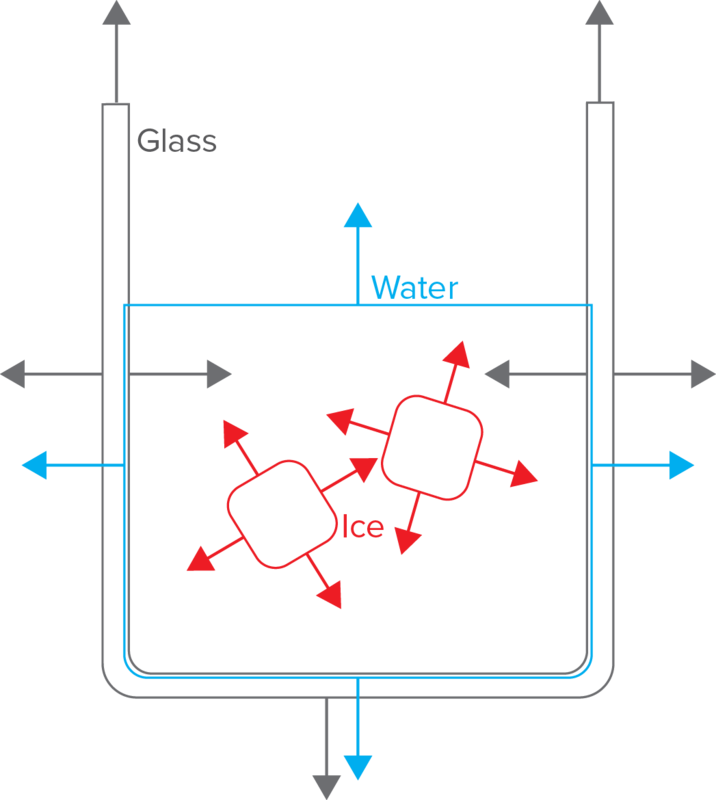 First, note that the ice cube is modeled without a corresponding void in the liquid- that is, a ray path that travels through the ice cube records a sequence of intersection events that goes something like “enter water, enter ice cube, exit ice cube, exit water”, as opposed to “enter water, exit water, enter ice cube, exit ice cube, enter water, exit water”. Second, note that the liquid boundary is actually slightly inside of the inner wall of the glass. Intuitively, this may seem like a mistake or an odd property, but this is actually the correct way to model a liquid-glass interface in computer graphics- see this article and this other article for details on why. Intersect glass upon entering glass. Intersect glass upon exiting glass. Intersect water upon entering water. Intersect water upon exiting water. Enter glass. Store glass BSDF. Exit glass. Evaluate attenuation from stored glass BSDF. Enter water. Store water BSDF. Exit water. 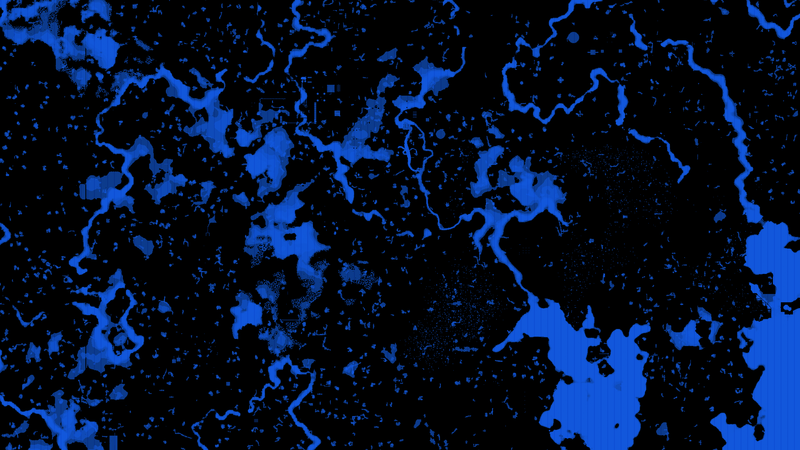 Evaluate attenuation from stored water BSDF. Exit water, but no intersection! Intersect ice upon entering ice. Intersect ice upon exiting ice. Enter water again, but no intersection either! Exit water, but no intersection. No BSDF evaluated. Enter ice. Intersection occurs, so evaluate attenuation from stored water BSDF. Store ice BSDF. Exit ice. Evaluate attenuation from stored ice BSDF. Enter water again, but no intersection, so no BSDF stored. Exit water…. but there is no previous BSDF stored! No attenuation is evaluated! Alternatively, in step 6, instead of no previous BSDF, we might still have the ice BSDF stored and evaluate attenuation based on the ice. 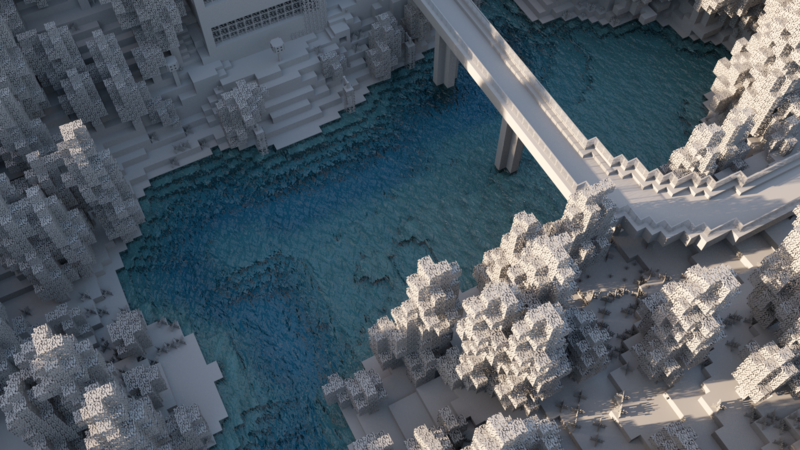 However, this result is still wrong, since we’re now using the ice BSDF for the water. Enter water. Push water BSDF on stack. Enter ice. Intersection occurs, so evaluate water BSDF from top of stack. Push ice BSDF on stack. Exit ice. Evaluate ice BSDF from top of stack. Pop ice BSDF off stack. Exit water. Intersection occurs, so evaluate water BSDF from top of stack. Pop ice BSDF off stack. Enter glass. Push glass BSDF on stack. Enter water. Evaluate glass attenuation from top of stack. Push water BSDF. Exit glass. 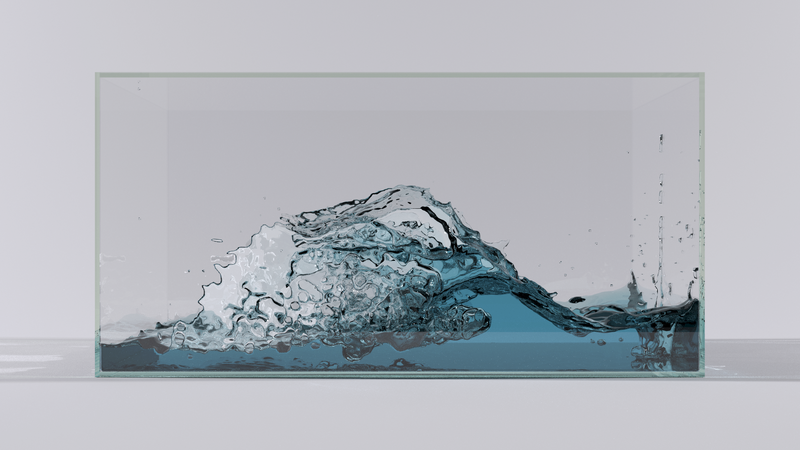 Evaluate water attenuation from top of stack, pop water BSDF. Exit water. 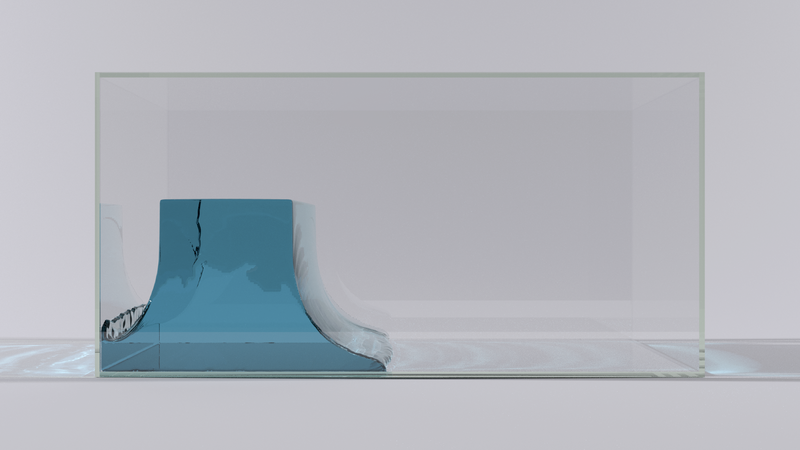 Evaluate glass attenuation from top of stack, pop glass BSDF. Exit glass. Evaluate water attenuation from top of stack. Scan stack and find first glass BSDF matching the current surface’s glass BSDF and pop that BSDF. Exit water. Evaluate water attenuation from top of stack. Scan stack and pop first matching water BSDF. At this point, I should mention that pushing/popping onto the stack should only occur when a ray travels through a surface. When the ray simply reflects off of a surface, an intersection has occurred and therefore attenuation from the top of the stack should still be evaluated, but the stack itself should not be modified. This way, we can support diffuse inter-reflections inside of an attenuating medium and get the correct diffuse inter-reflection with attenuation between diffuse bounces! Using this modified stack scheme for attenuation evaluation, we can now correctly handle all deep attenuation cases and embed as many attenuating mediums in each other as we could possibly want. …or at least, I think so. I plan on running more tests before conclusively deciding this all works. So there may be a followup to this post later if I have more findings. I realize I have not posted in some weeks now, which means I still haven’t gotten around to writing up Takua a0.5’s architecture and VCM integrator. I’m hoping to get to that once I’m finished with my thesis work. 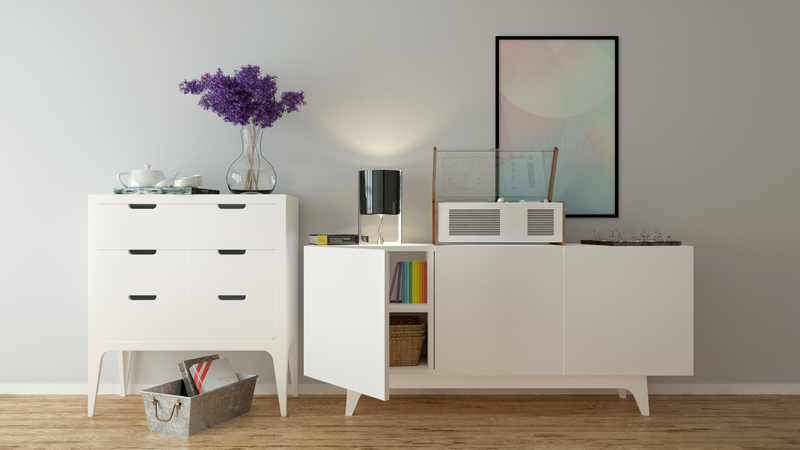 In the meantime, here are some more pretty pictures rendered using Takua a0.5. A few months back, I made a high-complexity scene designed to test Takua a0.5’s capability for handling “real-world” workloads. The scene was also designed to have an extremely difficult illumination setup. The scene is an indoor room that is lit primarily from outside through glass windows. 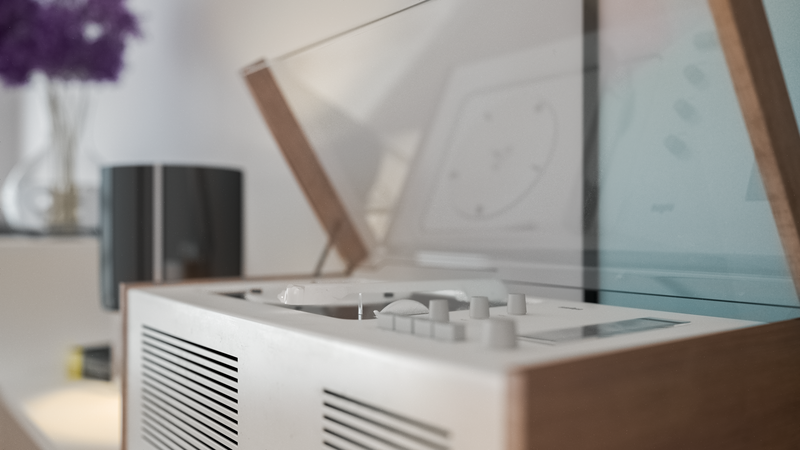 Yes, the windows are actually modeled as geometry with a glass BSDF! This means everything seen in these renders is being lit primarily through caustics! Of course, no real production scene would be set up in this manner, but I chose this difficult setup specifically to test the VCM integrator. There is a secondary source of light from a metal cylindrical lamp, but this light source is also difficult since the actual light is emitted from a sphere light inside of a reflective metal cylinder that blocks primary visibility from most angles. 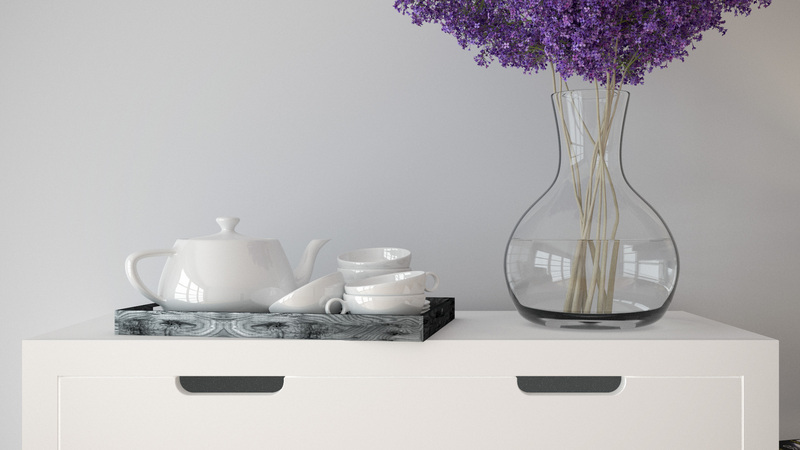 The flowers and glass vase are the same ones from my earlier Flower Vase Renders post. 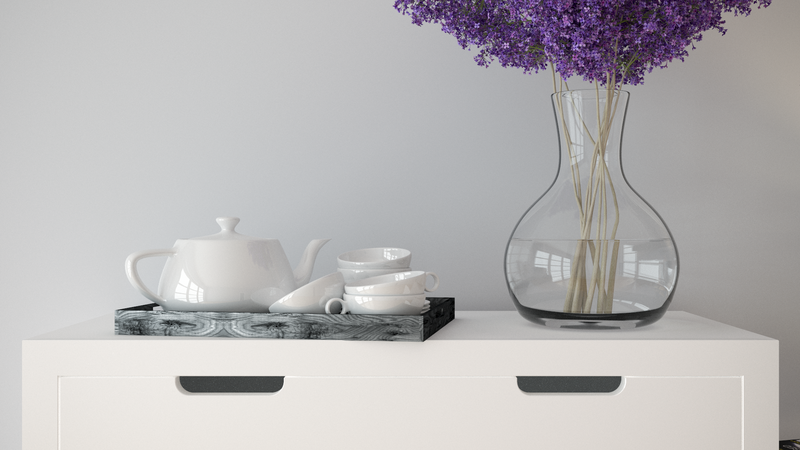 The original flowers and vase are by Andrei Mikhalenko, with custom textures of my own. The amazing, colorful Takua poster on the back wall is by my good friend Alice Yang. 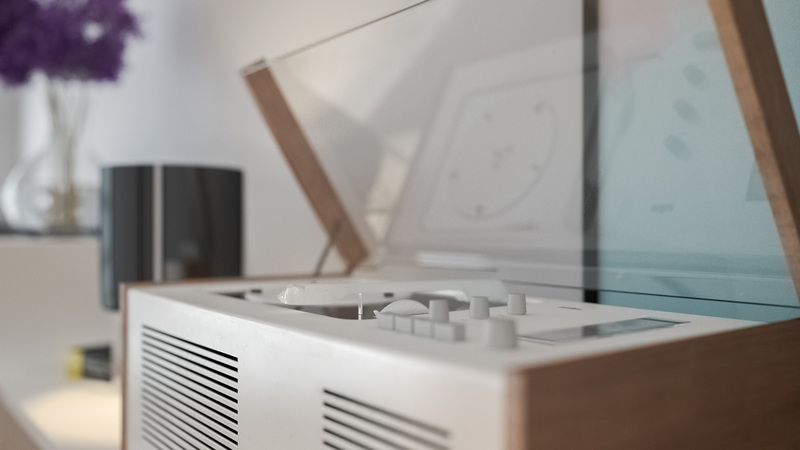 The two main furniture pieces are by ODESD2, and the Braun SK4 record player model is by one of my favorite archviz artists, Bertrand Benoit. The teapot is, of course, the famous Utah teapot. All textures, shading, and other models are my own. As usual, all depth of field is completely in-camera and in-renderer. Also, all BSDFs in this scene are fairly complex; there is not a single simple diffuse surface anywhere in the scene! Instancing is used very heavily; the wicker baskets, notebooks, textbooks, chess pieces, teacups, and tea dishes are all instanced from single pieces of geometry. The floorboards are individually modeled but not instanced, since they all vary in length and slightly in width. 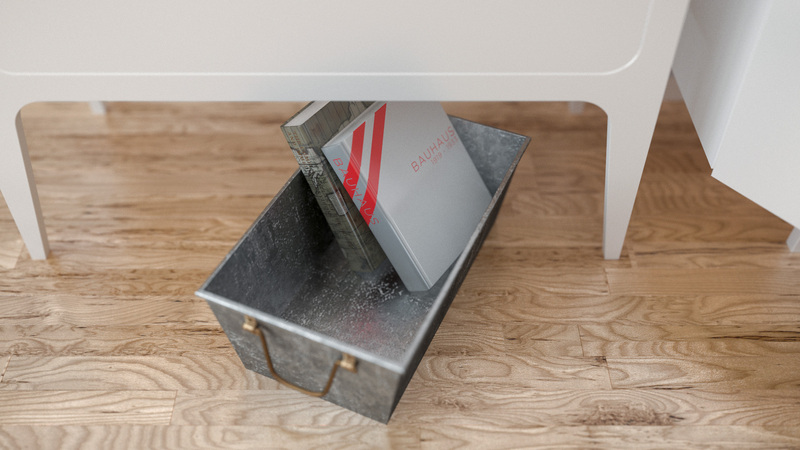 Just a quick note on images on this blog. So far, I’ve generally been embedding full resolution, losslessly compressed PNG format images in the blog. I prefer having the full resolution, lossless images available on the blog since they are the exact output from my renderer. However, full resolution lossless PNGs can get fairly large (several MB for a single 1920x1080 frame), which is dragging down the load times for the blog. Going forward, I’ll be embedding lossy compressed JPG images in blog posts, but the JPGs will link through to the full resolution, lossless PNG originals. 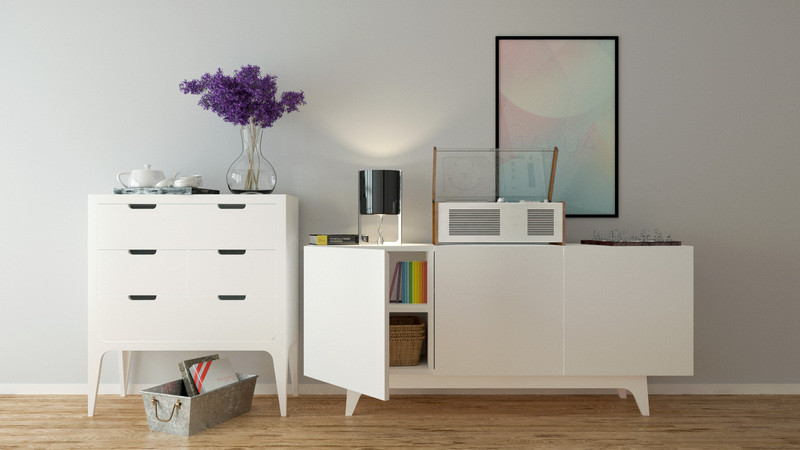 Fortunately, high quality JPG compression is quite good these days at fitting an image with nearly imperceptible compression differences into a much smaller footprint. I’ll also be going back and applying this scheme to old posts too at some point. Addendum 04/08/2016: Now that I am doing some renders in 4K resolution (3840x2160), it’s time for an addendum to this policy. I won’t be uploading full resolution lossless PNGs for 4K images, due to the overwhelming file size (>30MB for a single image, which means a post with just a handful of 4K images can easily add up to hundreds of MB). Instead, for 4K renders, I will embed a downsampled 1080P JPG image in the post, and link through to a 4K JPG compressed to balance image quality and file size. Just a quick update on future plans. Starting in July, I’m going to be working full time for Walt Disney Animation Studios as a software engineer on their custom, in-house Hyperion Renderer. I couldn’t be more excited about working with everyone on the Hyperion team; ever since the Sorted Deferred Shading paper was published two years ago, I’ve thought that the Hyperion team is doing some of the most interesting work there is in the rendering field right now. I owe an enormous thanks to everyone that’s advised and supported and encouraged me to continue exploring the rendering and graphics world. Thanks, Joe, Don, Peter, Tony, Mark, Christophe, Amy, Fran, Gabriel, Harmony, and everyone else! Normally as a rule I only post images to this blog that I made or have a contribution to, but this time I’ll make an exception. Here’s one of my favorite stills from Big Hero 6, rendered entirely using Hyperion and lit by Angela McBride, a friend from PUPs 2011! Images like this one are an enormous source of inspiration to me, so I absolutely can’t wait to get started at Disney and help generate more gorgeous imagery like this!